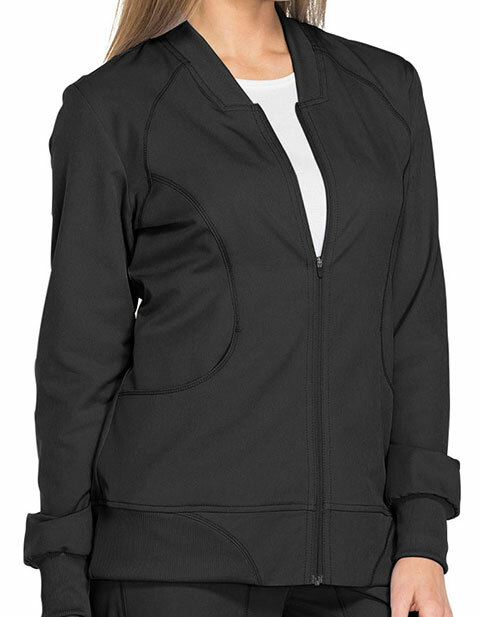 Featuring a contemporary fit with a rib-knit collar, cuffs, and waistband, the warm-up jacket from Dickies Dynamics is a must-have. 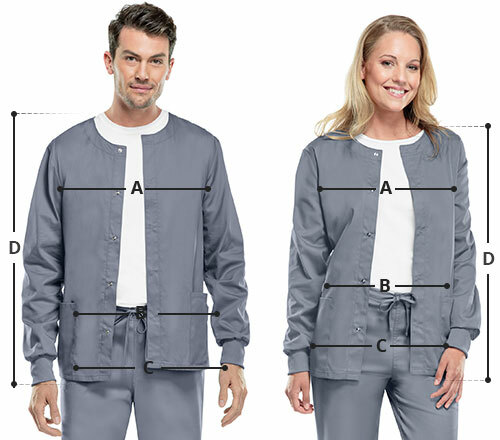 It features front pockets with the right one having an inside tonal cable-routine outlet so you can keep your medical supplies handy all day long. More so, the back yoke with locker loop adds shape while the cover-stitch details throughout gives a stylized look.